President Vladimir Putin on Tuesday hailed the recent regional elections as "more transparent than ever" as Moscow's elections commission announced acting Mayor Sergei Sobyanin as the official winner of the city's mayoral vote and set his inauguration ceremony for Thursday. 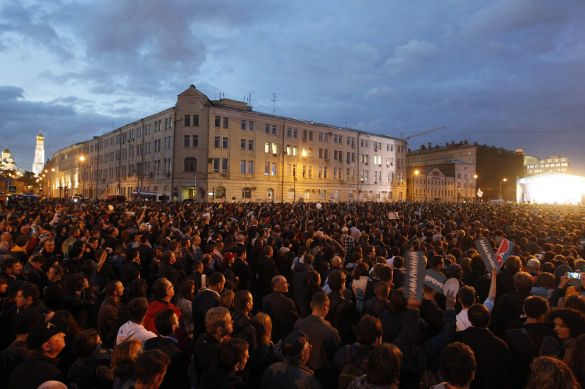 The president was elected to a third term last year in a vote that many said was marred by falsifications in favor of Putin, while disputed State Duma elections in December 2011 sparked street protests. The results of both polls were upheld by elections authorities. "Putin announced that the March 2012 presidential election was illegitimate, nontransparent and unregulated," joked Twitter user @valiullinfr in a message re-tweeted by runner-up Moscow mayoral candidate Alexei Navalny. The president's praise for the elections came as Navalny continued to dispute the vote results, alleging that there were numerous violations and demanding a re-count. According to the official results, Navalny got much more of the vote than pre-election polls estimated, with 27.24 percent, but Sobyanin secured 51.37 percent — enough to avoid a runoff in the race. Despite Navalny's request for a re-count, Moscow elections commission head Valentin Gorbunov said Tuesday that Sobyanin had been confirmed as the official winner and would be registered on Wednesday. "Tomorrow at 4 p.m. we will hold a session on registering the elected mayor of Moscow," Gorbunov said. The inauguration ceremony, which was initially scheduled for 10 days after the election, has been bumped up to Sept. 12 — a move that earned mockery from Navalny on his LiveJournal blog on Tuesday. "Faster! Come on, put the stamp on the paper FASTER!" 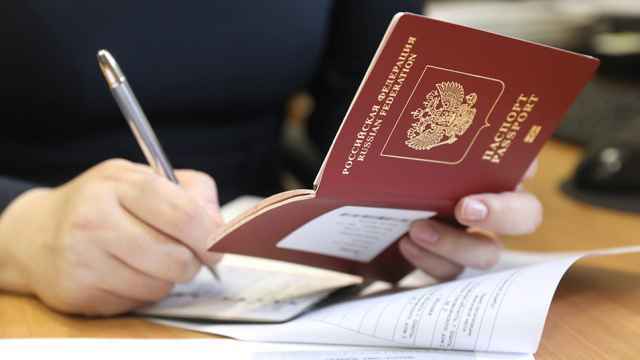 he wrote, implying that authorities had expedited Sobyanin's inauguration to prevent election observers from preparing evidence of voting violations, which could pave the way for a runoff. "They understand perfectly well that we have thousands of observers who need to gather all their papers to prepare thousands of complaints. We have both logistical and mathematical proof that Sobyanin 'won' the first round only thanks to manipulations with votes from home and sham voting in those districts where there were no observers (especially New Moscow)," Navalny wrote. 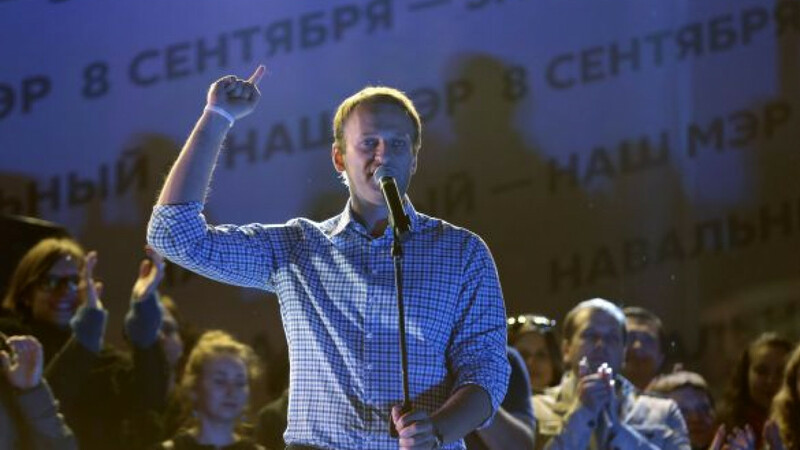 Golos, the independent elections watchdog, echoed Navalny's skepticism about the results, telling journalists on Tuesday that its experts and observers were concerned over votes obtained from take-home ballots. Navalny's supporters attending the rally to protest the election results. Describing the elections as "unusually fair," Golos member Grigory Melkonyants said there were nonetheless enough violations to warrant further scrutiny by experts, according to a statement on the group's website. "With this situation of a second round right on the edge, these minor violations should be very seriously examined," Melkonyants said, adding that Sobyanin had won by only a small margin — 1.37 percent, or just more than 32,000 votes. Andrei Buzin, an elections expert at Golos, told journalists that Moscow authorities had "dragged elections officials by the ears" to ensure that the vote was fair. Yet fairness does not necessarily translate to legitimacy, he said. "Despite these elections being substantially more fair and unusual, without any direct falsifications, the question must be raised of how legitimate they were," Buzin said. Golos has suggested setting up a public commission to analyze all the information about possible violations and meticulously re-examine the results from districts that are under doubt. Apart from doubts about the results, analysts were also reeling Tuesday over the failure of pre-election polls to provide an accurate forecast. Navalny secured about 10 percent more than he was expected to, while Sobyanin got about 10 percent less of the vote. The most likely reason for the discrepancy, analysts said, was the low voter turnout, which was forecast at 50.6 percent by VTsIOM in the run-up to the vote but turned out to be 32.07 percent. According to Rostislav Turovsky, a professor of political science at Moscow State University, the low voter turnout helped Navalny secure a bigger share of votes than expected, since many of his voters were younger and more active. "There was a low turnout in all the regions, and so there it wound up in the hands of the ruling party and Kremlin-friendly candidates. In this sense, Moscow differed in that it had an opposition electorate mobilized," Turovsky told Gazeta.ru. Even as Navalny continued to demand a vote re-count on Tuesday, Sobyanin got down to work as mayor. He announced at a meeting of the city government that more than half the city budget for the next three years would go toward social spending. "More than 50 percent of budget expenditures will be social expenses," he said, urging city authorities not to drag their feet in solving the city's problems, Interfax reported. Sobyanin also cited as major goals the development of the city's transportation system — specifically, building roads and developing above-ground public transit and suburban railway lines. The city's investment program would aim to resolve all the issues mentioned by authorities ahead of the mayoral elections, he said, with the development programs already adjusted to take into account the wishes of residents and experts. Expenditures for 2014 will amount to 1.65 trillion rubles (about $50 billion), he said, and the budget deficit is expected to amount to 164.8 billion rubles.